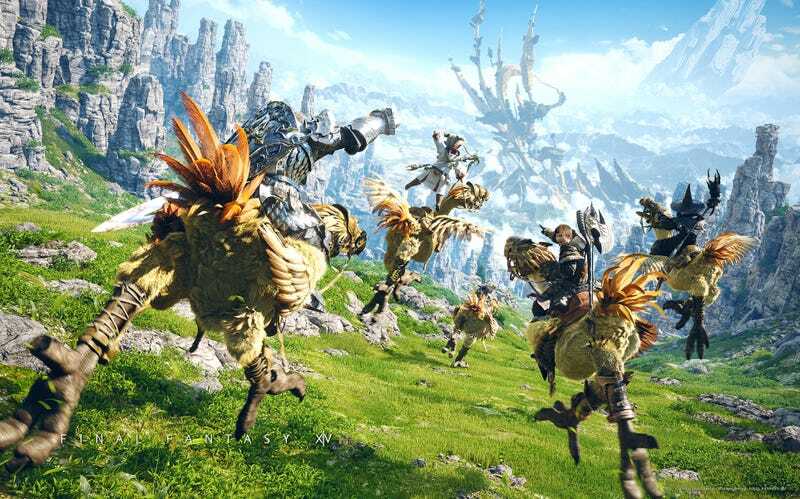 It's take two for Square-Enix, as their reboot of the ill fated Final Fantasy XIV gets its Phoenix Down moment, but after a jam-packed week of Gamescom news, including the PS4 launch date reveal, that's not the only big thing that's going on in gaming - It's time for this week's Tuesday Game Room! I've not played that much this week, thanks to spending the last half of it in sunny Cardiff Bay, but of course, I did slip in some World of Warcraft time. For those who've been playing along, I've spent the past month or so desperately hoping to get a new Epic Weapon for Telsandre, and finally, FINALLY, it happened! Now that we definitely know Patch 5.4 is out September 10th, this bad boy can get some practice in and net me a bit more gear to round out Telsandre in anticipation of the Siege of Orgrimmar in a few weeks. On the whole I'm mostly prepared, but I could do with getting a few more drops to prepare me for the satisfying moment of finally bringing an end to Garrosh Hellscream's reign of immense stupidity. At least now I'll be doing it in style! Aside from S-E's second cast of the die with Final Fantasy XIV: A Realm Reborn, there's a few more releases this week. After its early digital-only launch a few months ago, New Super Luigi U makes its way to retail - and Capcom pushes out the apparently not-very-good Lost Planet 3 with absolutely no fanfare or marketing. For Football Fans, EA celebrates 25 years of roster updates with the 'new' Madden NFL 25 (whatever will they do for the Madden game in 2024? ), an anniversary edition of the perennial sports series. On PC, there's quite a few releases, including the previously-xbox-exclusive Brothers: A Tale of Two Sons, the heartbreaking puzzle-platformer that melted the hearts of players a few weeks back in Summer of Arcade, a port of the surprisingly decent LOTR-MOBA Guardians of Middle-Earth, and speaking of surprisingly decent: a long-awaited port of Castlevania: Lords of Shadow. The Microsoft Point is dead, long live Microsoft Points - At long last, Spacebucks are gone. A new system update rolling out world wide has replaced Microsoft's long-standing MSP with real-currency pricing - in a way, I'll miss the obfuscating little buggers. There was something rather charming about them, even if they did essentially just hide how much money you were dropping on digital content. Sony apologises after GTA V audio files leak - When I think of franchises and spoilers, admittedly GTA is not the first series that springs to mind. I always tend to forget that there's actually a plot to those games, as so much of the memories of it are intertwined with what you do as a player in that world, rather than a story and the characters. Still, if you're looking to avoid GTA V details, it just got a wee bit harder. Steve Ballmer is leaving Microsoft in the next year - Although this isn't specifically gaming related (although earlier this year Ballmer did have direct control of the Xbox Division in the wake of Don Mattrick's depature), it is of great importance to gaming as to the future of the Xbox brand. Ballmer's Microsoft has struggled to keep up with the likes of Apple and Google in recent years, but it's also the Microsoft that offered the first real opposition to Sony's dominance in the 21st century console market with the Xbox and its immensely successful follow up. A new CEO will look to keep the company relevant, and with the shaky initial response to the Xbox One, the future of the gaming division within the company has an interesting, if uncertain, future. Troubled indie-console Ouya releases obtuse, vomit-packed animated slander Ad - In an attempt to admonish $60 retail games, Ouya's bizarre advert - supposedly released on youtube and pulled quickly after to 'solicit feedback' - sees a gamer fill his own living room with a sea of sick after realising he's bought 'the exact same game' again for another year, before ripping out his own spine and beating his face in with it. Funnily enough, that would be my exact reaction if I discovered that I had just purchased an Ouya.